Is life better when you’re beautiful? Jane Johnson has tried every beauty tip and trick known to woman, but none of them have ever made men notice her. Finally, something is working. She barely recognizes herself in the mirror. Is it her new haircut? Two years of yoga class? Her new eyebrow tweeze? Or is it all that nasty wheat grass juice her sister insisted she drink finally working some kind of magic? Whatever it is, something is transforming Jane from plain to downright beautiful. For the first time in her life, men are noticing her. Jane is getting so much attention from men she doesn’t know what to do with it. Before her inexplicable transformation, she couldn’t get a date to save her life. Now she has a date every night of the week. Gorgeous eligible men are throwing themselves at her. They’re even fighting over her. Actual fist fights to win her affection. It all seems too good to be true. The only question on Jane’s mind is whether or not her newfound beauty is going to last or if it’s some cruel trick of fate that will fade away as quickly as it appeared. Because everybody knows, when something seems too good to be true, it probably is. 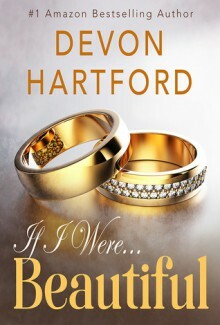 ***If I Were Beautiful is a saucy romance with a mystical twist that will leave you breathless to find out what happens next. This is book one of a three book series. Book two will release April 2017, Book three, July 2017 (or sooner).